Indigenous communities have been caring for the Boreal Forest for thousands of years based on their knowledge of the land and cultural traditions. Today, many Indigenous Nations weave this expertise into comprehensive land use plans that serve as roadmaps for managing traditional territories. Land use planning helps Indigenous Nations determine for themselves the future of their lands. Communities identify where they want to create protected areas, build infrastructure, and zone for sustainable development. The plans help communities express their aspirations for the land, and they provide welcome certainty for industry. The Dehcho First Nations in the southern Mackenzie Valley, for instance, created a plan that honours cultural traditions and Indigenous and western science. As part of the process, the community negotiated with Crown governments to make Nahanni National Park Reserve six times larger than its original size, protecting an area the size of Vancouver Island. Indigenous Nations draw from a rich array of information to create these plans. 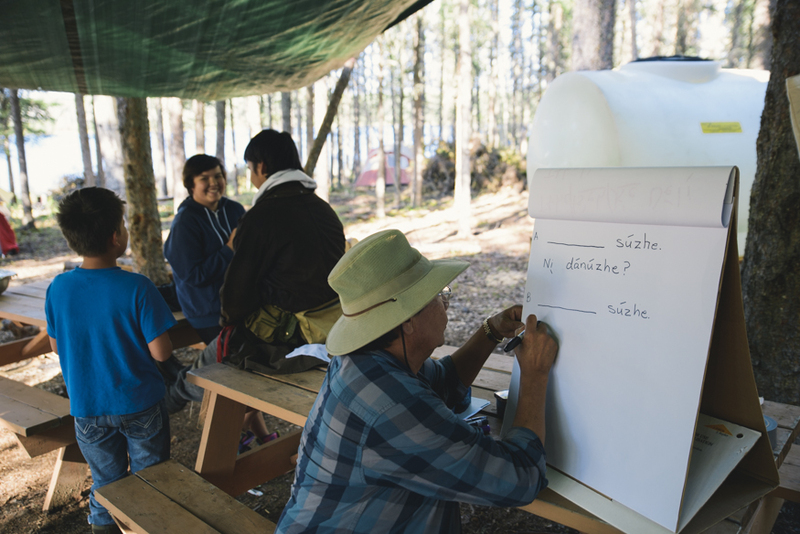 They ask elders to talk about traplines, caribou migrations, medicinal plant growth and other knowledge of the land. They build databases of Western scientific studies and generate maps. And they hold community meetings to come to consensus about how to care for the land for future generations.